Costello had not shown major hints of this style before. Regardless of what combination of impulses might have led him down the retro-soul path, Get Happy!! did serve the purpose of drawing attention to some lesser-known soul classics of the ’60s (including a peppy version of Betty Everett’s 1964 “Getting Mighty Crowded,” not included on the original edition of Get Happy!!). “I Can’t Stand Up For Falling Down,” though, became the album’s biggest single—and a brilliant, bracing homage to the original. Costello’s cover of “I Can’t Stand Up For Falling Down” was so popular in the U.K., it spurred the release of a 1984 collection of Sam & Dave songs of the same name. And as Costello himself rebounded from his gaffe and forged ahead with his storied career, it became more apparent that Get Happy!! wasn’t just a one-time, guilt-driven detour in style. Costello established himself as a musical multilinguist, and Get Happy!! was just the first dramatic demonstration of that. 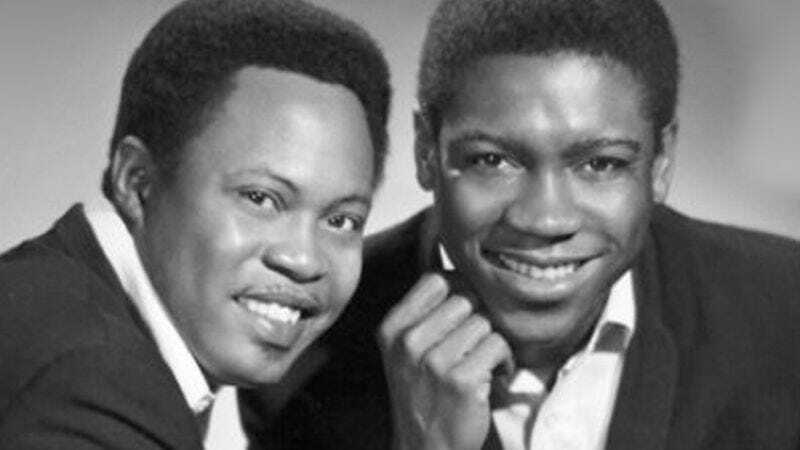 Still, as good as his reverential, revved-up take on Sam & Dave is, there’s no eclipsing the simmering, sinuous, tear-jerking power of the original.